Dell incorporation has reported sagging second-quarter profits and warned of more tough times ahead as the company continues to transition away from its original business selling personal computers. Dell’s profit for its fiscal period ended Aug. 3 plunged 18% as revenue dropped 8%. The company also projected another revenue decline for the current quarter and substantially revised downward its full-year earnings forecast, despite its projected record full-year earnings. Dell blamed the poor performance on a sluggish economy and diminished demand for PCs. Dell's chief financial officer, Brian Gladden, said "We're trying to be realistic" in reference to prospects for the remainder of the year. 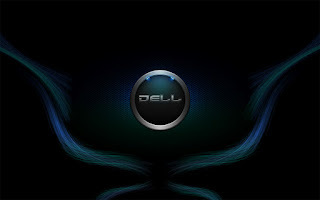 He noted that Dell's newer businesses that sell products and consulting services to corporations are performing well. Gladden said in an interview that consumers gravitated toward cheaper PCs during the quarter and that the economy also hurt sales. He said the release of Microsoft Corp.'s MSFT +0.20% new Windows 8 operating system in late October could hurt current-quarter sales as customers hold off on purchases until it is released. The announcement marked Dell's second straight quarter of disappointing results, and its stock price has fallen about 18% since late May. In after-hours trading Tuesday, Dell's shares fell 4.5% to $11.79. In the second quarter, Dell said revenue from PCs and related products fell 14% from a year earlier. Consumer sales led the way down, as sales of those machines fell 22%, while sales of servers and networking products increased 14% from a year earlier. Dell's services business grew 3%. Overall, Dell reported income for the second quarter of $732 million, or 42 cents per share, down from $890 million, or 48 cents per share, in the year-earlier period. Revenue declined to $14.5 billion from $15.7 billion a year ago. Dell said it expects sales in the current quarter to decline between 2% to 5% from August. It projected earnings per share of at least $1.70 for the full fiscal year, excluding items, down from a projection of at least $2.13 per share earlier this year. The company has staked future growth on sales of these and other products, such as software and storage systems, to businesses. Earlier this year, Dell formed a software group and has added to it through a series of acquisitions. Dell named Marius Haas, a former executive at Hewlett-Packard Co., president of the group responsible for servers, networking and storage products. A version of this article appeared August 21, 2012, on page B7 in the U.S. edition of The Wall Street Journal, with the headline: Dell Outlook Gloomy as PCs Slump.